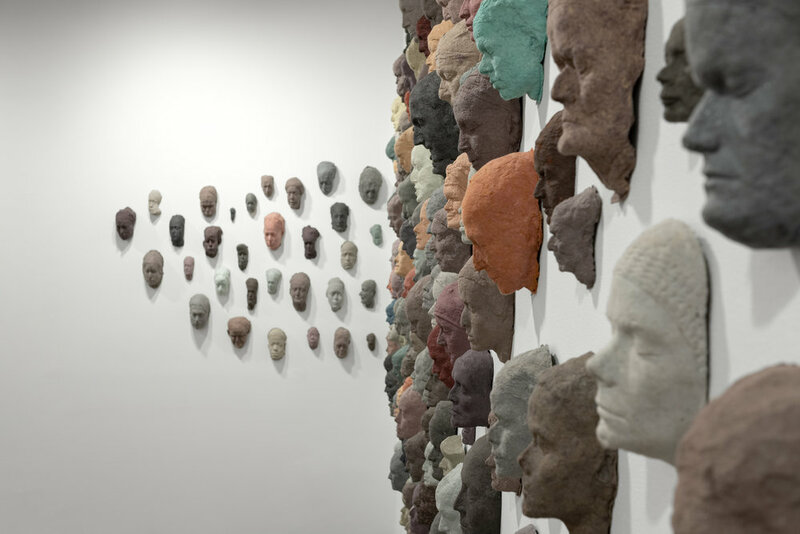 Congregation, a site-specific installation of more than two hundred paper-cast mask face-prints by New York Artist Louise McCagg. This body of work, part of which was represented in the Hungarian Pavilion in the Venice Biennale in 2009, will be shown at the A.I.R. Gallery, Brooklyn, NY.